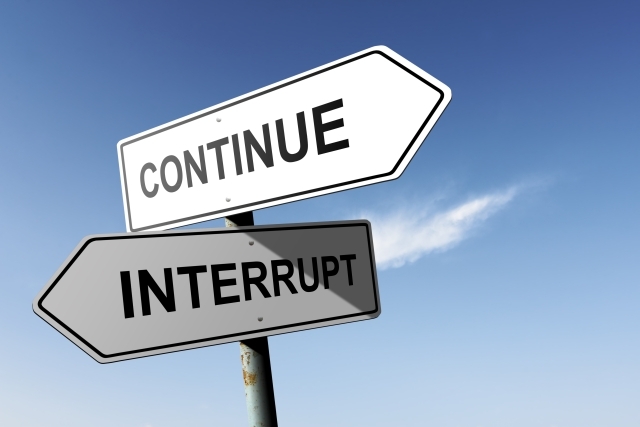 Self-interruptions are a matter of your personal focus, and that’s the subject of a different article, but let me offer some common-sense strategies which can cut your outside interruptions in half. Believe it or not, some managers and supervisors, either by choice or default, find themselves the keeper of the supplies and/or office equipment. If people have to come to your office for a box of pens or tissue, or to use the copier, or find a broom, then you need a new arrangement. Move ALL those things out of your office, or move your office! If you have chosen this arrangement because you feel you need to control the use of supplies and equipment, well, that’s a different problem that this article doesn’t cover! “Hey, do you have a minute?” “Can you look this over before I send it?” “Is this a good time to talk about the banquet?” These kinds of questions can drain your time like a vampire. If you have developed the habit of saying “Yes” every time this question is asked, you are training your people to interrupt you, and fostering the attitude that your time is not as important as theirs. Perhaps you have unquestionably subscribed to the time-management mantra of “Do it now!” If so, then you should rethink that. Granted, some issues are urgent and can’t wait until later. Setting the interruption to a later time is not practical, but you can set a time limit on right now. Ask them how long it will take, and then hold them to that time limit. It might be a good strategy to ask them to skip the explanation for what they want, and get directly to the request. This goes a long way toward retraining your people to communicate quickly and succinctly. Subsequent interruptions concerning the same topic might then be able to be rescheduled. If you have a pressing deadline in which there is no room for interruptions, simply make yourself hard to find. Set up in an empty room or office and work there. It goes without saying that you will need to turn off your electronic devices so you cannot be “found” that way, either. Change your policy. If you have an open door policy to communicate your constant availability, switch to a policy or practice that has “open door hours,” during which your people know to bring their issues to you, and to leave you alone during “closed door” hours. Only allow interruptions to pile up “one deep.” If you are already on your desk phone, and your cell phone rings, let the cell phone go to voice mail. If the cell caller leaves a message you may choose to listen to it right away, or listen later when you are finished with your activity. Even then, you will have the option of responding to the message at that time or later. When you answer the phone, don’t begin with, “How are you?” This is an invitation to small talk that will take more time than necessary. Instead, after you have identified the caller, ask, “What can I do for you?” This focuses the conversation quickly on the business at hand without being brusque. 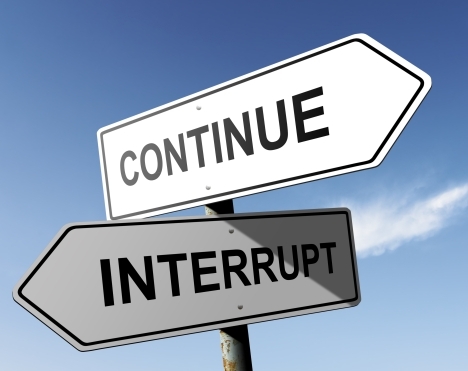 Not all interruptions can or should be avoided. But the above strategies can dramatically enhance your work output on a given day.